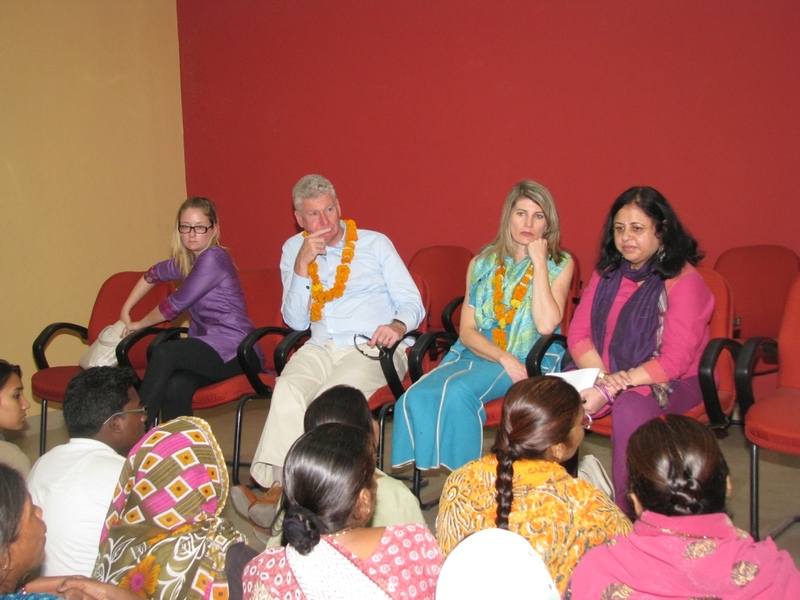 On Tuesday 1st May 2013, Canadian High Commissioner, HE Mr. Stewart Beck and his wife, Ms. Brenda Beck visited the Asha’s community centre in Dr. Ambedkar slum colony. 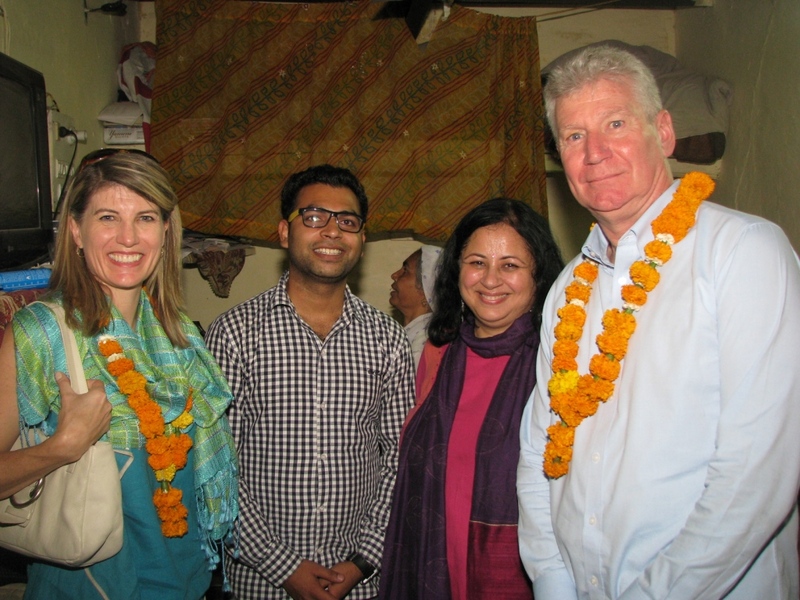 They were welcomed with much cheer and joy by Dr. Kiran Martin, the slum residents and the Asha team. Mr. Beck’s visit was primarily focussed on acquainting himself with the various components of Asha’s work and life of the people living in the slums. The High Commissioner and Mrs Beck had an interactive exchange with the Community Health Volunteers, members of women’s groups and beneficiaries of Asha’s Financial Inclusion Programme. The women beamed with pride as they spoke about healthcare and infrastructure improvements in their slum community over the past 25 years. The High Commissioner also had an engaging conversation with university students from Asha’s slum communities and was impressed to note that most of the college students spoke fluent English, thanks to Asha’s English Literacy Programme. Rohit, a student from one of Asha’s slum spoke about his experience of interning with the Canadian High Commission last summer and thanked the High Commissioner for the support his office has extended towards Asha. Mrs. Beck was particularly interested in the students’ stories and asked them a lot of questions about their dreams and aspirations. In their address to the students, HE and Mrs. Beck stressed upon the importance of education in one’s life, how the students should make full use of the opportunity provided by Asha. The Hon’ble High Commissioner added that he looks forward to get involved with Asha’s programme in future. HE and Mrs. Beck also spent time visiting many of the students and other members of the community in their homes to see the living conditions in the slums. Asha would like to extend a heartfelt thanks to HE and Mrs. Stewart for visiting the slum community and spending time with the slum dwellers and looks forward to more such opportunities of welcoming them in future. 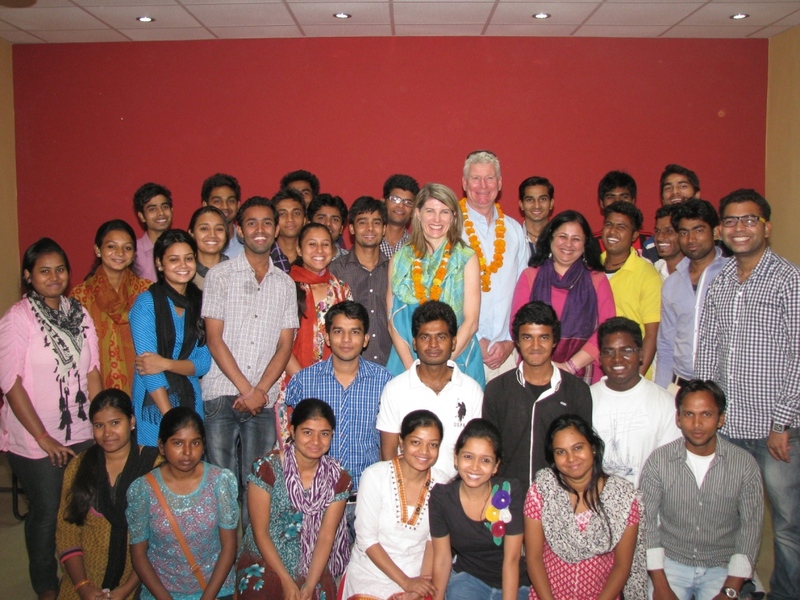 Please click here to watch HE Stewart Beck speaking about the work of Asha.